On the Home tab, click Restore > VMware vSphere > Restore from backup > Entire VM restore > Instant VM recovery. Select the VM that you want to restore and click Instant VM Recovery on the ribbon. 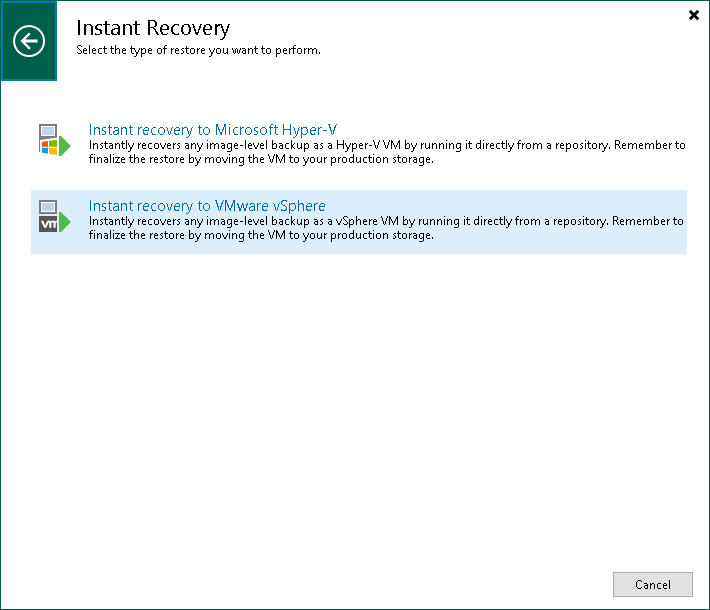 Right-click the VM that you want to restore and select Instant VM recovery.